This is Sue's quilt. She made one of the popular LOVE quilts, pattern by Tula Pink. 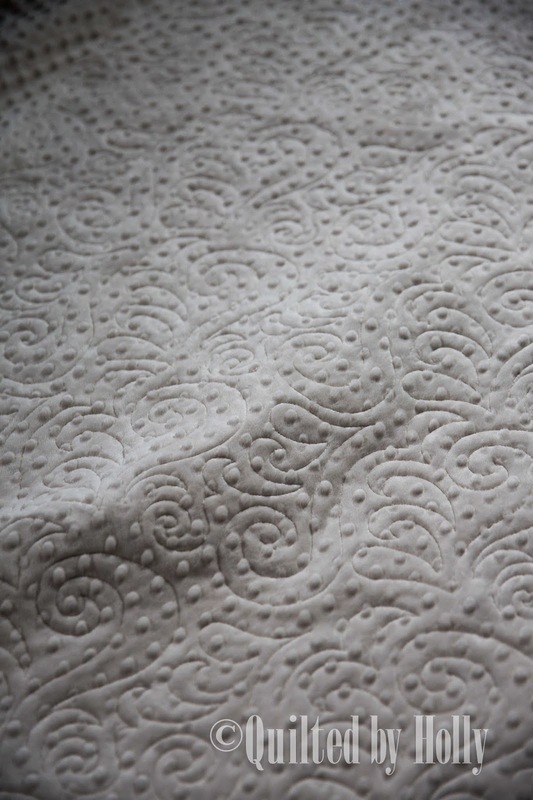 I quilted Curly Q all over. 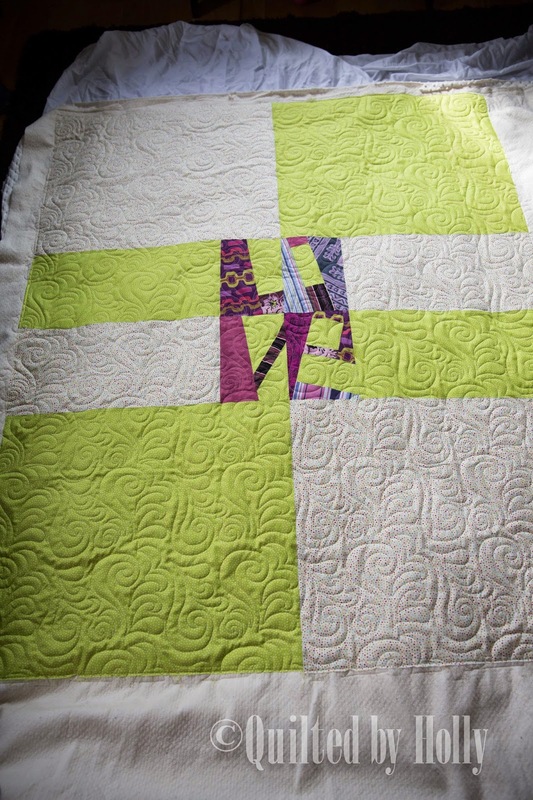 I like how Sue made her center rows different that the other Love quilts I've seen by alternating the colors. How unique!